Æternity blockchain is live after long period of waiting, the community is big and the core developers are top skilled. The project offers smart contracts development platform for decentralized applications dapps or how they call them – æpps. 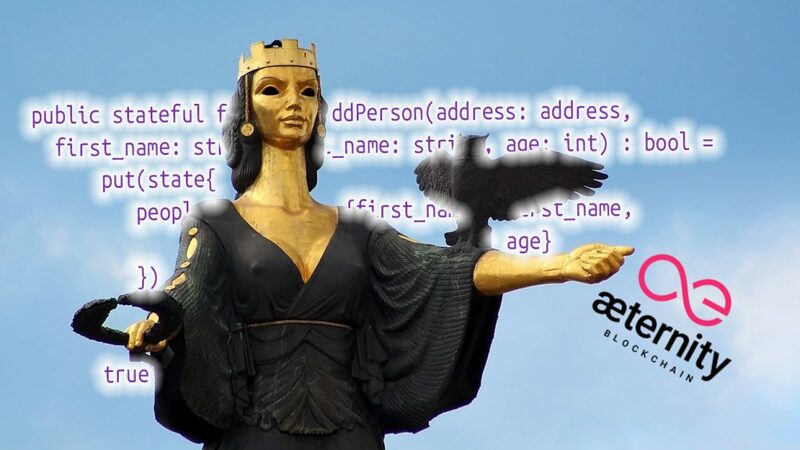 In this tutorial we are going to create a simple smart contract in Sophia ML programming language – address book aepp. We will create, compile, test and deploy the smart contract. 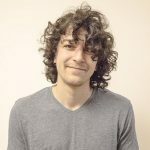 Docker we need for running local aeternity node for compiling, testing and development environment. Assuming you already have docker installed on your machine we move on, if not – please follow the guide in their official website and then continue with the steps below. ForgAE is an æternity development framework which helps with setting up a project. The framework makes the development of smart contracts in the aeternity network pretty easily. 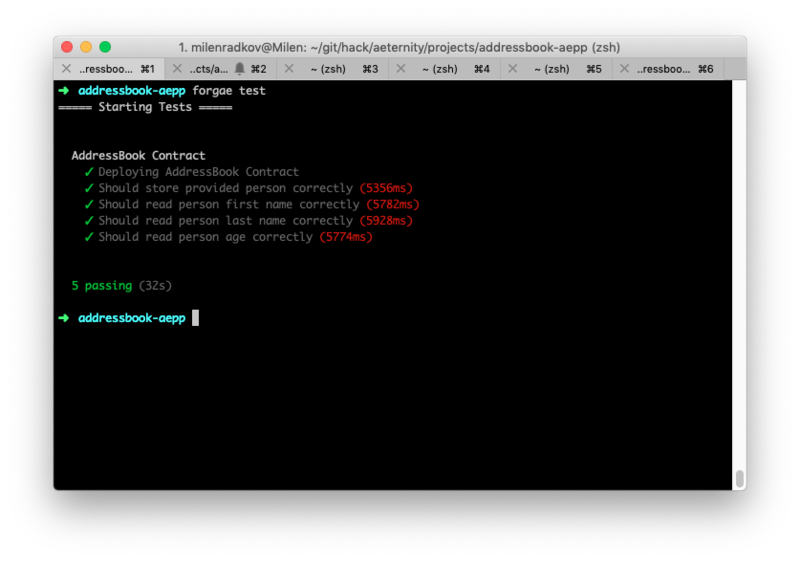 It provides commands for the compilation of smart contracts, running a local Epoch and unit testing the contracts. 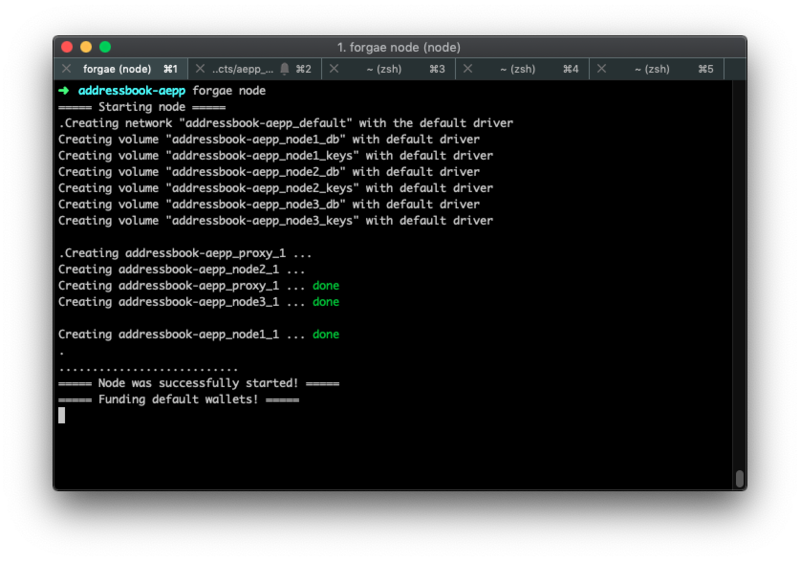 After installing Forgae we can verify everything went well with forgae --help which will also get us familiarize with the commands and options it has. 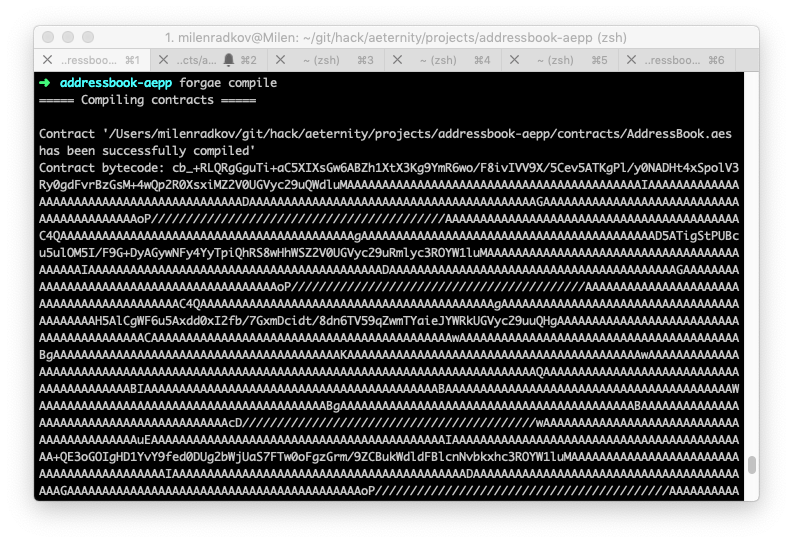 npm link command will create a symlink in the global node_modules folder and expose the CLI binary to be used through the terminal. 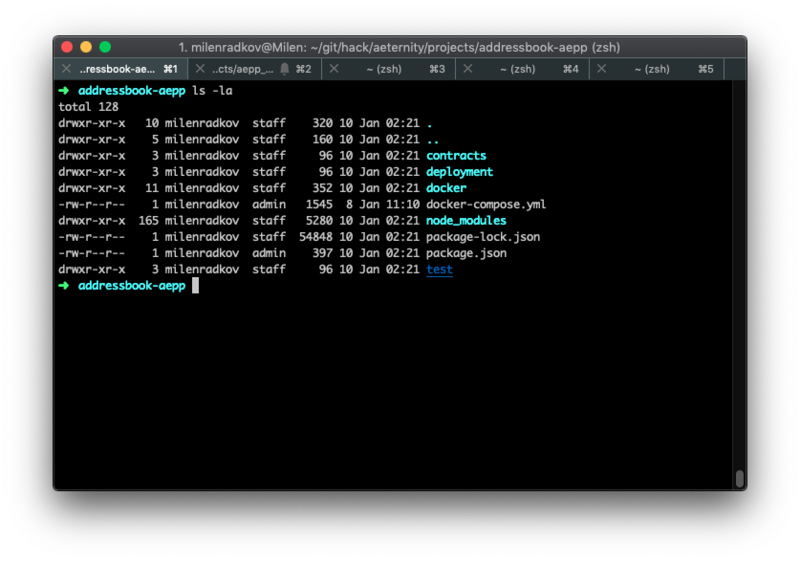 and lastly we should runnpm install so npm update its packages and symlinks. Now if everything went well our environment is set and ready to start developing sophia smart contracts on æternity. Then we initialize our project with forgae init which will create for us all the necessary files and directories. 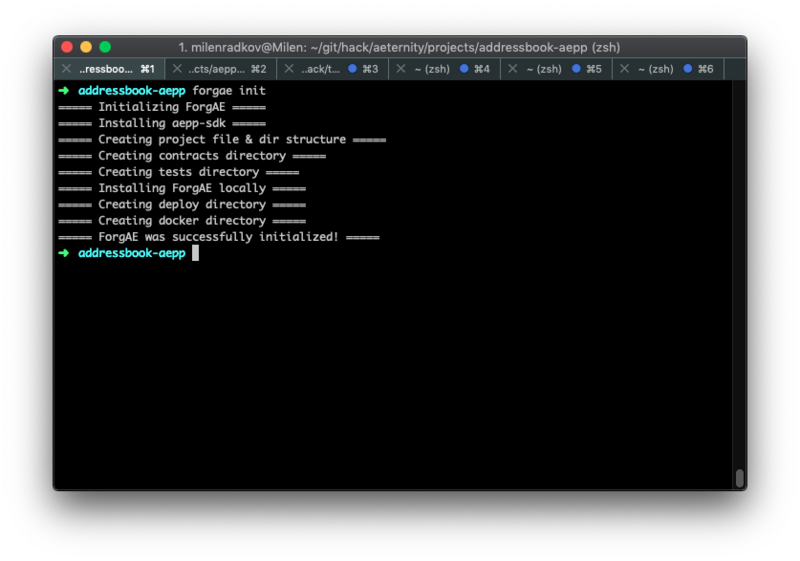 If we look at our project directory we will see that we now have contracts, deployment, test directories where our focus will mainly be, as well as other config files like package.json and docker-compose.yml. The node command help developers run their local network on docker. The local network contains 3 nodes. To spawn a fully functional network takes couple of minutes. At the end of this command you will be presented with accounts that you can use in your unit tests. This example contract has one function which accepts a single argument of type int and returns the value of the passed argument x. 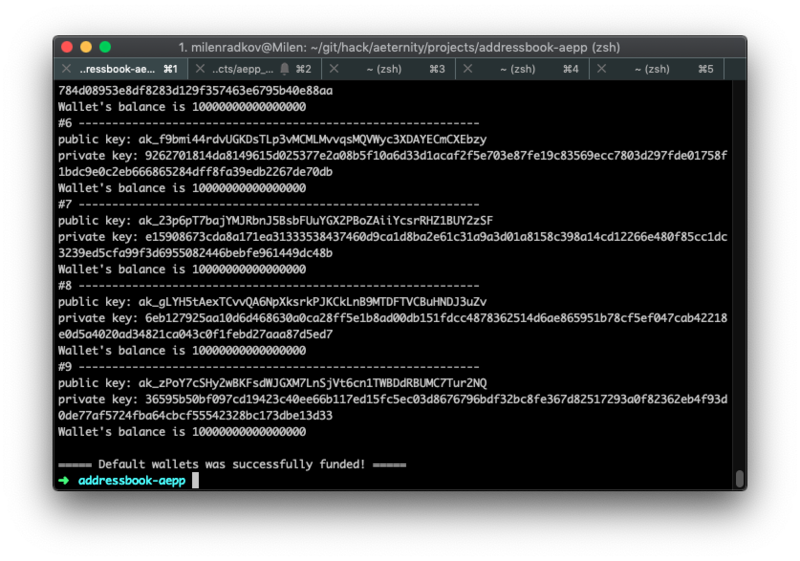 If this is your first time looking at Sophia smart contract, you probably notice that it is quite different from Solidity for example, and looks much similar to Python. Aeternity’s Sophia is a ML-family language. It is strongly typed and has restricted mutable state. Sophia is developed to be used for creating smart contracts on Aeternity Blockchain, so some of the conventional languages’ features are missing, but other blockchain specific primitives, types and constructions are added and supported. Okay, we move on to the fun part. We now hit the delete button and get rid of the ExampleContract.aes. We create our AddressBook.aes sophia smart contract in the contractsfolder and open it with our favorite editor (in my case VIM). Note: Indentation is important in Sophia language, so keep that in mind. Sophia uses Python-style layout rules to group declarations and statements. A layout block with more than one element must start on a separate line and be indented more than the currently enclosing layout block. Blocks with a single element can be written on the same line as the previous token. Each element of the block must share the same indentation and no part of an element may be indented less than the indentation of the block. Okay, the first thing we do after that is defining our person and state records and create the initfunction. Sophia does not have arbitrary mutable state, but only a limited form of state associated with each contract instance. Each contract defines a type state encapsulating its mutable state. The initial state of a contract is computed by the contract’s init function. The init function is pure and returns the initial state as its return value. At contract creation time, the init function is executed and its result is stored as the contract state. The value of the state is accessible from inside the contract through an implicitly bound variable state. State updates are performed by calling a function put : state => (). Aside from the put function (and similar functions for transactions and events), the language is purely functional. Functions modifying the state need to be annotated with the stateful keyword. A contract may define a type state encapsulating its local state. The state must be initialised when instantiating a contract. This is done by the init function which can take arbitrary arguments and is called on contract instance creation. We now have to create setter function for saving person’s details, and getter functions for getting them. For our getter functions we will need a helper function which will allow us to easily search in the map we‘ve created. The compile command compiles Sophia contract. It’s recommended to use .aes file extension. Default directory is $projectDir/contracts. The result of the compilation is the contract bytecode printed in the console. Additional --path parameter is available, which can specify the path to the contract to be compiled. Writing unit test for aeternity sophia smart contract is similar to writing unit tests for Ethereum solidity smart contract. The interesting and thing is passing arguments to functions. As you can see, we are now passing the our argsaddress,first_name,last_name, and age as tuple string. Another quite handy thing is that the function call result comes with built in decode() function, which you can use for decoding the function output by passing the type you want to decode it to e.g. primitives like int , string or bool. This is quite important for our unit tests so we know how we are going to assert the results. Writing smart contracts on Sophia is very intuitive if you have previous experience writing smart contracts or experience with programming languages like Python. We will continue this series with some more sophisticated examples which will include deployment on testnet and mainnet and more soon. If you don’t want to miss the new content – join our newsletter to receive all our new content. this is brilliant ! thank you ! Thank you Nikita! I’m glad you like it. More valuable content is yet to come. Great tutorial! I was wondering how aeternity blockchain smart contracts will look like. Thank you for sharing this! Hello, I have been trying to install this on mac but keep having error at the first stage (npm install -g forgae ). google but still can’t resolve the issue. Thank you.